When nominated to continue my fourth year as Director of a group that gets so much enjoyment riding Harley Davidson motorcycles with fellow members makes me feel very honored. Leading a group with a strong focus on riding safely, our HOG family and camaraderie makes me believe it just don’t get any better than that. 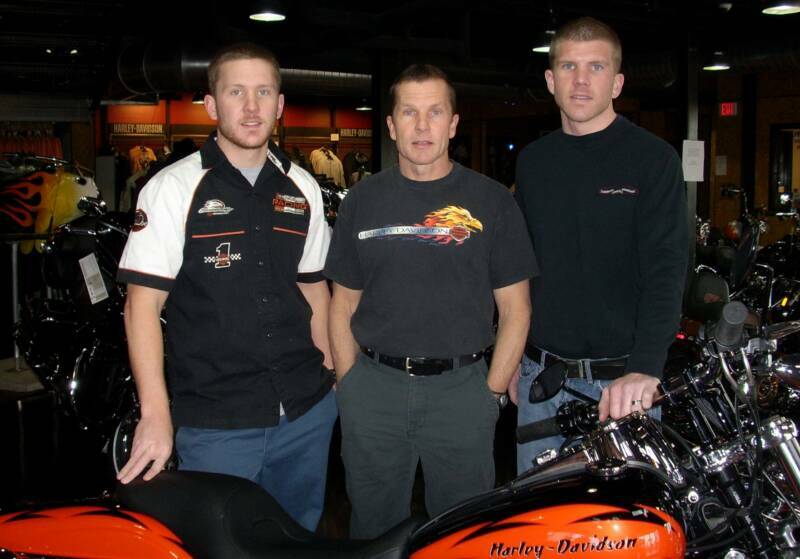 I was born and raised in Norton Va. Southwest part, where I began riding Harley’s in 1980. I worked with the Caterpillar heavy equipment dealer network for years. It has taken me from one end of Va. to the other. Moving to Florence SC in 1997, I have also lived in Columbia SC, and it brought me to Anderson SC in 2013. I feel like I am at home here. The riding terrain in Upstate SC is very similar to that where I began my riding career. 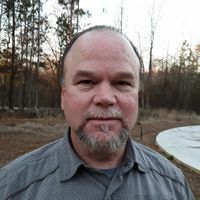 In 2016, after 43 years in service with Cat dealers, I began a new chapter of life, becoming a Realtor© and a Real Estate Agent, joining Coldwell Banker Hugh Durham and Associates. 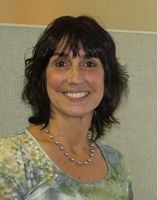 My wife Luanne is also a Realtor© with the CBHD & Associates, as well. A Chapter member and Historian with ECHOG, she loves the family atmosphere as well. She enjoys riding her own bike, and especially loves the Ladies of Harley “Ladies Only” rides. We both love working, and riding in the Electric City. We have found Upstate SC to have more to offer us and our love of riding motorcycles than anywhere we have lived so far. Anderson is a great city. 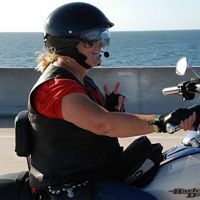 The surrounding mountain roads and scenery are just unbelievable, and I currently explore them on my 2012 Street Glide and 1999 Wide Glide, and Luanne on her 2008 Heritage Softail. I look forward to 2019 and doing all I can to help our Chapter grow and promote riding and family. I hope to see all our current members, and new ones as well, want to get involved and participate in rides, events and activities. I'm excited and looking forward to another year of riding and working with this active H.O.G. Club. I've been on 2 wheels since 1965 and a H.O.G. member since 2004. We moved to SC several years ago to be closer to our family. Now we enjoy good friends, good weather, good rides, good food, and so much more. 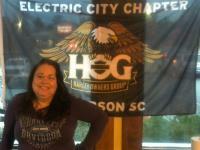 I am proud to be asked to be treasurer for the Electric City HOG Chapter for my third year. I moved to the area just over four years ago with my husband John. John has been riding Harley's for 25 years and currently rides a 2017 Limited. I got my license in 2008 and ride a 2018 Street Glide Trike. I was born and raised in Upstate NY. After too many cold winters we decided to move south. We didn't know anyone in the area, so we attended a Chapter meeting and were welcomed with open arms. We quickly became part of the family. I served as Registration Coordinator for the 2016 SC State HOG Rally. I have served on the Activities Committee with my husband John in the past for our chapter. Last year I attended HOT (Harley Officer Training) training with our other primary officers. It was great training and showed me we have a lot to be proud of with our Electric City Chapter. We have one of the friendliest groups of people I know and am honored to serve as a primary officer. I look forward to serving and riding with the Chapter. Hey, I’m Robin Perry. I have been riding myself just a little over a year and I love it, before then I rode with my husband. I currently ride a 1200 custom super low that my husband converted to a trike. I love the wind in my hair and the freedom it gives me ! It is a privilege to serve as Assistant Director. I have served as Assistant Director many years ago. I have been involved with the chapter since 1997. This chapter is blessed with great people. One could not ask for a better group to be around. I was born and raised in the Greenwood area. I have worked for Fuji Film for 21 years as a maintenance technician. I have served as the Events Coordinator for the SC State HOG Rally for 8 years. I have been riding motorcycles since I was 6. My wife Brenda has always rode on the back with me until 2 years ago. She went and took the motorcycle safety riding course and got her license. Hope to see each and everyone of you out on the road. I have had my motorcycle license since I was 18 yrs. old. I have traveled many miles on many bikes. Starting with a Honda SL125 and graduating to my current ride, a 2017 Softail Deluxe. By accepting this position of LOH (ladies of Harley) Officer, I have now held every officer position a chapter has to offer. Many years ago, I took a road trip to the Carolinas, the Tail of the Dragon to be exact. I fell in love with riding in this part of the country. Fast forward to retirement time. 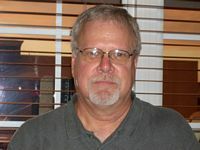 I started contacting different HOG chapters in the South through the Harley Davidson web site. 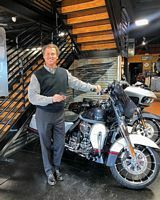 A quick response with positive information about the great riding year-round in and around Anderson SC from EC HOG Director Tim Jones, I chose to relocate to the Electric City from Rhode Island. Riding with the chapter has helped me become more familiar with the area along with making many great new friends, which has also helped make my relocation here something I will never regret. I was amazed with the number of women that ride their own bikes here in Anderson. So as the LOH Officer I hope to plan lots of activities and rides for all the ladies (both those who ride and those who ride along) in our chapter to enjoy. I am always open to any suggestions of places our ladies would like to visit. I feel this is your chapter, I am just the coordinator, so to speak. I quickly discovered we have a great supporting Dealership in Timms Harley Davidson, and I am riding my second bike purchased from them already. They welcomed me into the family just like the folks in the Electric City HOG Chapter did. They all have made me feel right at home. When I joined Electric City HOG I was asked, what is my favorite kind of ride? My answer was… ALL OF THEM. I am honored to serve our chapter as Safety Officer again this year. I’ve been a member of Electric City H.O.G. since 2002 and have seen the group evolve in so many ways. We’ve seen numerous new riders as well as “seasoned” ones become a part of the chapter as the years roll on. It’s always exciting to have the opportunity to ride with so many who are dedicated to the Harley Davidson brand and fun to look forward to seeing new faces and go new places as we move forward. 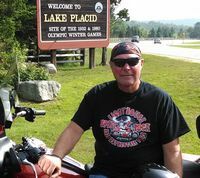 I retired from Michelin North America in 2012 and have ridden close to 100,000 miles since then and hope to ride many more. My wife, Denise, and I have taken several lengthy trips, seen sites we never imagined, and met lots of amazing people. That’s what happens when you ride a Harley. Safety is a passion for me as I hope that all riders ride safely and enjoy a long riding “career”. Please keep in mind; stay focused and alert at all times, ride within your capabilities, practice your skills to improve them, and respect those with whom you share the road. And remember, a better rider is a safer rider. 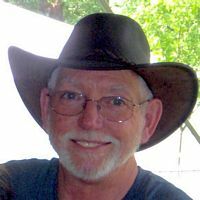 My wife Lisa and I moved to the Anderson area in April of 2016 and really enjoy the area and the people. Smiling faces, Beautiful places has become a reality for us after over 30 years in Florida. 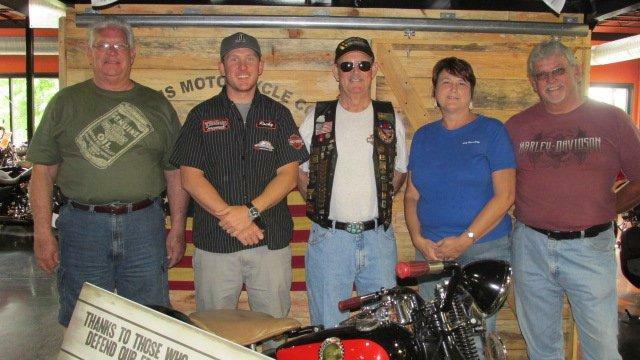 Being a member of the Electric City HOG Chapter and when asked to take over the role of Volunteer Coordinator for the Timms Bike Night events, I was happy to be of service to this great HOG family. The Bike Nights are fun week night events for the local community and our chapter has always been proud to lend a helping hand. We are hoping to become more involved with the chapter in the days to come to help sustain our commitment to the community and have fun riding.